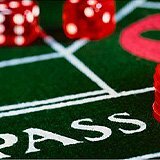 How often have you faced the situation when one man by the craps table wins one time after another, getting cheers and congratulations from the players around? You watch his play with a mix of slight envy and delight and consider his winnings to be the result of incredible luck. May be it will be surprise for you but this has little to do with mysticism, fate and luck. The reason of regular winnings lies in the way the person plays, strategy if say more specific. When you start doing something the first reasonable thing is to find out the methods to become successful in the new field. This is true for craps also. To be winning just learn several strategies, choose the more appropriate for you and go ahead for huge winnings. Don’t know what to begin with? Start with the Two Level Doey Don’t craps betting strategy. Using this strategy you are trying to minimize the risk of losing any sums of your hard-earned money and try to make your winnings prevail in your play. This is done by careful choice of bet types and the size of every wager. All the calculations are proved mathematically, but do not be afraid of complicated calculations as all of them are already done. All you need is to follow the rules and prepare for winning play. You should prepare to learn the scheme building the strategy. According to the Two Level Doey Don’t system you will make only two variants of bets – Do and Don’t. This fact is hidden in the name of the strategy. The key is two levels of bets. First you will wager two betting units and after win diminish the amount to one unit. This method will protect you from huge losses and make your play profitable. So the first stage is to make inside bets. We advise you to make the amount equal $44. This sum will be divided the following way. $10 will build two betting units on 5 and 9, $12 – two betting units on 6 and 8. Thus you bet $10 on 5, $10 on 9, $12 on 6, and $12 on 8. After the win of any of these numbers you should diminish the bet size to one unit. It means that as soon the dice will roll out 5, you will bet only $5 on 5. The same is true for other numbers. Continue betting till any two of 5, 6, 8, and 9 numbers come out. In other words as soon as any two numbers win, you head for new stage of the strategy. You still wager four of your inside bets (till the win you bet two units, after win – only one) and add Don’t Come bet. In order to determine the size of the Don’t Come bet, take all the winnings from the start of the play and divide the sum into two parts, thus you get the two betting units. Make the Don’t Come bet in the amount of two betting units till you win. Afterwards wager one betting unit. As the practice shows this very strategy, when used correctly, brings good results. It protects you from losses and permits to win. If you are not scared of rather complicated betting system Two Level Doey Don’t strategy is for you. Try it!